Sarah Fraser examines Bruce Lenman’s 1980 article on Jacobite exiles, part of a vigorous, influential rebuttal of a worn-out image. The Jacobites have always inspired writers, musicians and painters. The Whig interpretation of history also favoured the colourful view of Jacobites descending like Icarus from brave hearts to bleeding hearts, drifting in a melancholic daze, rueing lost chances. Yet this vision left Jacobitism up a creek, cut off from history’s changing narratives, there to rot picturesquely until reformed into myth by the Romantics’ love of ruins. 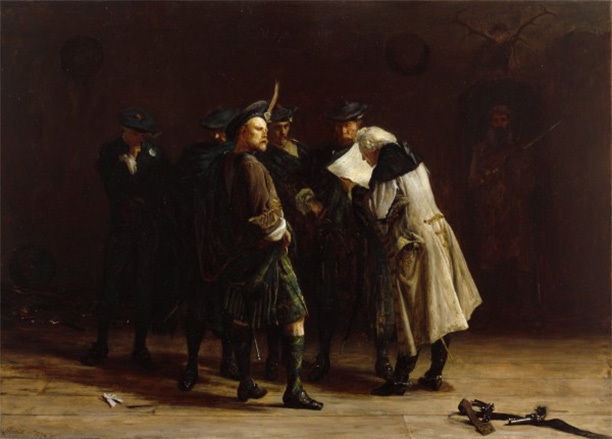 Bruce Lenman revisited contemporary accounts and emerged with a different story, placing Jacobites closer to the centre of 18th-century British historical discourse. As Lenman pointed out, thousands of Jacobite exiles adapted well to change. They went from being refugees to successful labour migrants, until ‘a network spread all over 18th-century Europe, from Sweden to Naples and from Spain to Prussia’. Telling their stories, Lenman rehabilitated them from masters of the art of heroic failure, to principled but practical people.